Contact lenses for dry eyes and astigmatism require special consideration, because some types of contact lenses may irritate the eye, or be affected so that normal vision is not possible while wearing the contacts. Initially it was believed that anyone who has astigmatism or dry eyes could not be a candidate for contacts, and needed glasses instead. Cheap contact lenses available today have eliminated that myth, because both of these conditions can normally benefit from certain types of contacts. When it comes to contact lenses for dry eyes both soft and rigid lenses offer challenges. In some cases just wearing contact lenses frequently can result in dry eyes syndrome. Soft lenses are created using water, and as the lens dries out moisture may be pulled from the eye. This can cause your eyes to become chronically dry. Rigid lenses can also cause dryness, and these are not soft or flexible. In some cases an underlying medical condition can cause problems with certain types of contacts. Sjogrens syndrome symptoms include chronic dry eyes and mouth, and this may make it difficult for these individuals to wear contacts. Any contact lenses for dry eyes should be used only when directed by an eye specialist. 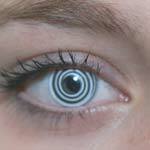 While many people who suffer from this problem can successfully wear contacts, some cannot. Your eye doctor will help you decide if contact lenses are right for you, and what type is best in your unique situation. Sometimes problems with contacts are not caused by contact lenses for dry eyes, but from something else instead. A common irritant with people who wear contacts is certain types of contact lenses solution. Some people may develop a reaction to a solution, and sometimes switching to another brand and type may help. For some the sensitivity of their eyes to these solutions is so great that it is not possible to wear these lenses at all. This issue may also cause dry eye, as well as inflammation.